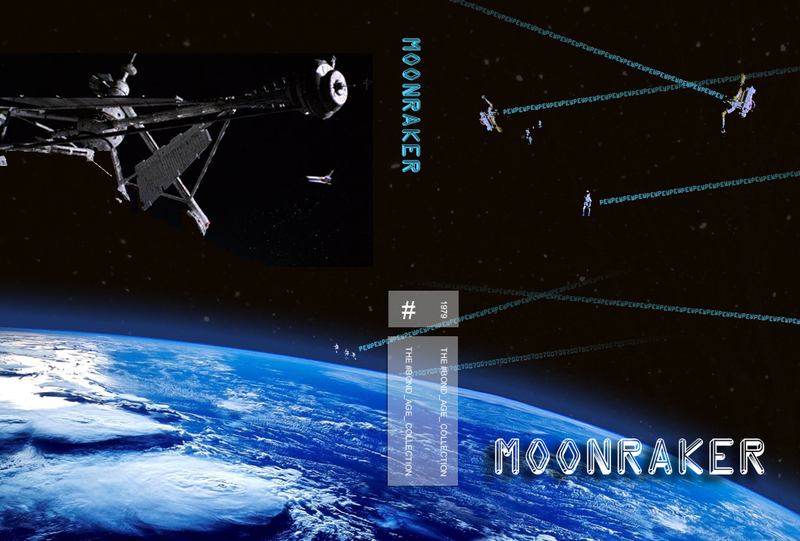 I couldn’t do a Moonraker Custom DVD Cover and not use my favorite Moonraker Live Tweet moment. @007hertzrumble Best summary of #Moonraker ever. So ingrained are the “pew pew pew” sound effects used during the climactic space laser battle that they had to be a centerpiece of the cover. Or, per Trevor Jost, SPACE. LASER. BATTLE. Once I figured out how to use the “pew pew pew” for the Moonraker #Bond_age_ Collection DVD Cover, the rest fell into place. I borrowed a few images from stills and found the right picture of Earth from space and that was really about it. Sometimes it’s just best not to over-think these things. My only stumble… I had a hard time picking a font. I couldn’t decide whether to go with the more traditional font used on the posters or branch out on my own. Ultimately I chose the depth of this future-ish type font (or at least the future from the perspective of the 1970’s) over tradition.